UPVC has been gaining popularity over the last few years and it has become the main material for window and door frames. This is evident in new-built homes and apartments throughout UK. However, most homeowners in London have realized the benefits of using natural materials over man-made. Find out why people are favoring wooden windows London area over most other materials. Wooden windows are not only appealing to the eye but they look great on any type of property. In fact, you can select to tailor your wooden windows by opting for different types of timbers such as oak, mahogany, pine, or maple. The best thing about timber windows including sash windows is that you can stain or paint them to suit your taste or match the style of your home. Windows that are made from timber frames are more environmentally friendly than UPVC. Double glazed PVC production involves poisonous gas release into the atmosphere whereas timber frames actually reduce the Co2 emissions. As wood comes from sustainable sources for window framing, it is by far the most environmentally friendly way of producing door and window frames. Timber windows (sash windows and casement windows) can potentially last for decades while average PVCs will last less. If you properly maintain your timber windows and protect them from wear and tear, they will last a lifetime. Moreover, timber is a natural insulator that keeps the temperature of your home comfortable. Although it is true that timber window frames need regular maintenance in order to keep them in good condition, when you spend a little time varnishing and painting them you will weatherproof the frames and help resist the elements of nature. 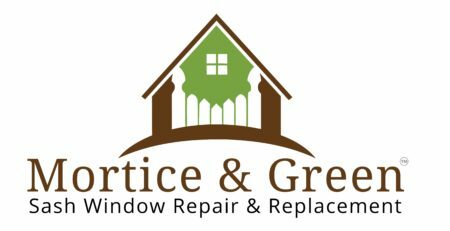 You will only need to do this task once a year in order to keep your window in tip top condition. While it is true that PVC is low maintenance, you will still need to the annual cleaning and lubricating the hardware on them. 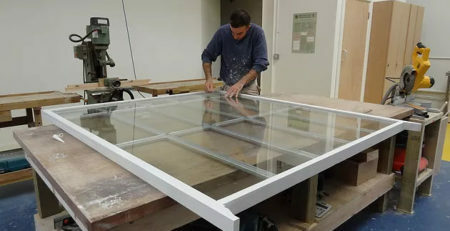 If the window will be exposed to the elements, an initial coat of paint will be applied by the manufacturer. This will restore the material and you can even change the color to match your home. PVC window frames, on the other hand, cannot be altered and they will gradually lose their finish. 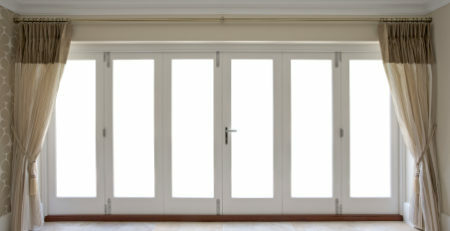 In fact, once your PVC frames lose their color or go in disrepair, you will not be able to repair them. With timber frames, you can change the color to complement the design of the house. All you need to do is sand the frame before repainting. PVC window cannot be repaired and contrary to popular belief, they are not maintenance free at all. To create a PVC window frame, it will take six times more energy than making a timber one. This is according to environmental activists who are concerned by how much waste PVC produces; up to 6 million tonnes by the year 2020. Out of this, around 80 percent will go into landfill and only a mere 3 percent is recycled. High quality timber frames are not even more expensive than other materials. You get a lot of options that will save you money. Maple is by far the cheapest wood to use, while mahogany is the most expensive. But as long as you choose a high quality wood for your home, you can be sure that it will last much longer than PVC. London residents like timber for their door and window as it looks rustic and matches the style of their homes. Although PVC does not rot like wood and is cheaper, there is a valid reason why people are not rushing off to place their order. In Scandinavian countries, the weather is extremely cold so over the years, people have turned to using natural resources to keep warm. Wood is an efficient building material that is the greenest material for window. According to recent studies on the environmental effects of timber window frames, for every piece of wood that you fit instead of PVC, you will save around 150 kilos of carbon dioxide. Although UPVC is always the cheaper option, it is rarely the best value for money. Timber frames not only last twice as long as PVC, but they also enhance the value of your home, especially if it is a period property.